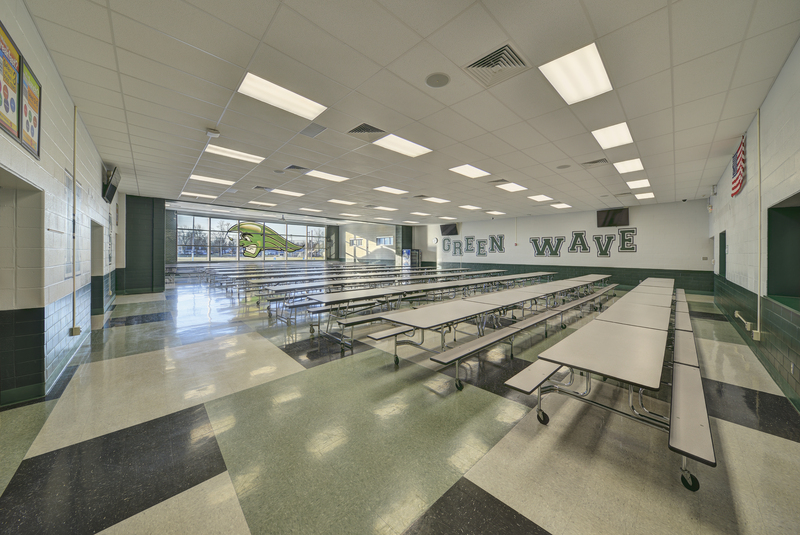 Garmann/Miller renovated Greenville High School and added a cafeteria addition to the front of the building. 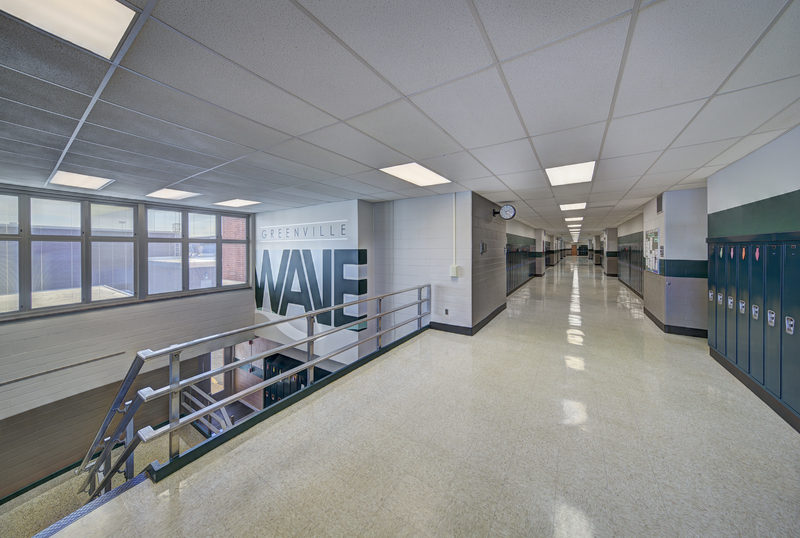 Renovations included new paint, lockers, casework, flooring, ceiling tile replacement, masonry, site work and technology upgrades. 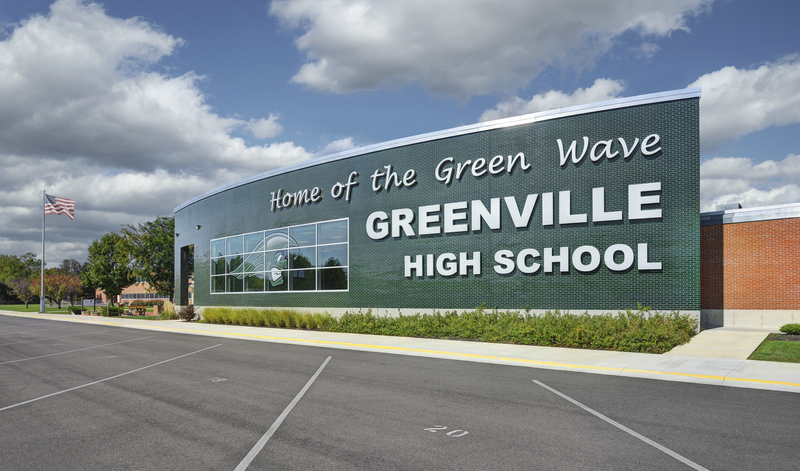 Also, part of the renovation was a 2,760 sf Advanced Manufacturing Lab, which is part of Greenville’s Career Technology Center. 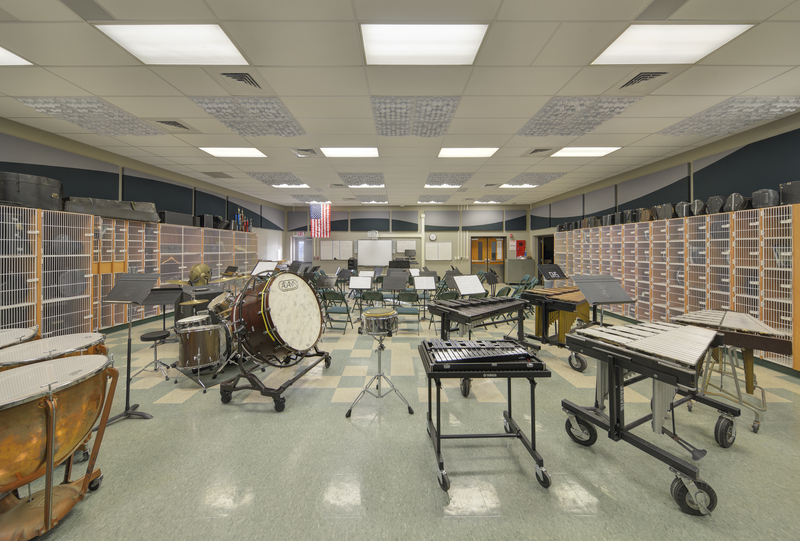 It includes computers, lab space, office, a meeting room, program lab and support spaces. 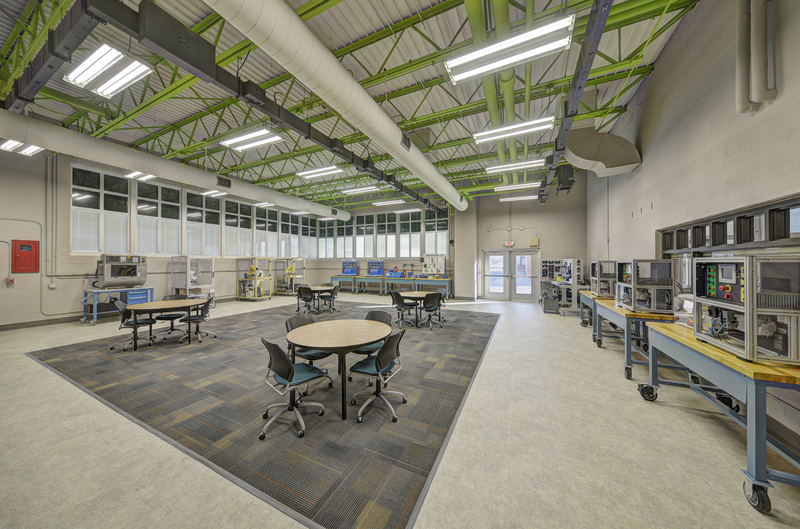 The program lab features a central collaborative learning area surrounded by industry training module stations and offers a separate after-hours entry for Adult Education programs.